Just outside of Russell, the birthplace of modern New Zealand where the first Europeans settled, The Eagle’s Nest sets the standard for privacy and luxury. 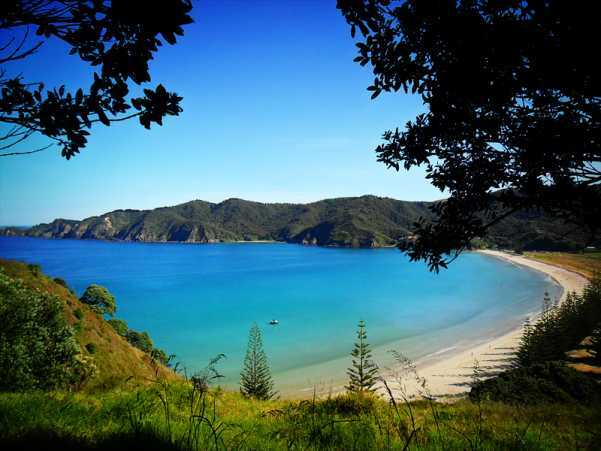 The craggy coast of northern North Island draws comparisons to the north of France and other picturesque locations. You will have a full staff to wait on you (including a personal trainer and spa therapist), access to two Porsches, helicopter rides to wherever you want to go, a private chef and a table full of mouth-watering cuisine. A distinct twist of this resort is the possibility of cavorting with a white lion, if that's your idea of fun. The name matches the feel—the view from an eagle’s nest with the accompanying privacy. Just five villas are available to the fortunate who stay here. 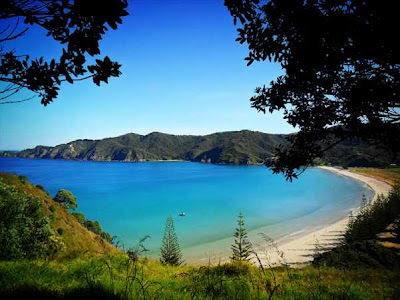 Russell is about 3 ½ hours drive from Auckland, and many visitors opt to grab a rental car from somewhere like Omega Car Hire Auckland to make the trip north. Spread over 6,000 acres near Matauri Bay, this lodge offers 180-degree views of the Pacific Ocean and a top-25-in-the-world golf course. You can also take advantage of one of three private beaches and a spa that empties into the surrounding rainforest, giving you the opportunity for an outdoor spa treatment. Kauri Cliffs also has two Astro turf tennis courts, an infinity swimming pool and a fully equipped fitness centre. You can take a picnic or have a barbecue on the secluded beaches as well. Most travelers who come here come for the chance to play the links. Hard on the Waikato River just off Lake Taupo, this resort has been in existence since the 1920s but has upgraded significantly since its purchase by Alex van Heeren. Everyone from royalty to Bill Gates has stayed here, and they have enjoyed the extreme privacy and beauty. Some of the best trout fishing in the world is a few steps from your room. The 17 acres of grounds have won awards for their conservation efforts and appearance, and the 25 rooms are divided between 18 lodge rooms, one suite and two cottages. The Owner’s Cottage offers space for a maximum of eight guests within the four bedrooms; the new Alan Pye Cottage offers two bedrooms for four guests. Spread over 2,500 acres of pristine rain forest, Treetops fulfills the definition of a “luxury wilderness” escape. Timber and stone comprise the architecture that will make you feel like you are roughing it—even if you are not. On the property are seven trout streams, four lakes and 70 kilometres of hiking trails, on which you can go on high-tech treasure hunts, aided by your GPS, to find secluded waterfalls and rare game. Mountain bike and horseback riding are also available for exploring the otherworldly beauty around the lodge. This lodge is nestled in a World Heritage Area with magnificent views of Lake Te Anau and Fiordland National Park. Abundant use of timber in the architecture and massive stone fireplaces give the lodge a feel that fits the area. Ten guest rooms await, including an Executive Suite and two private log cabins. The popular Milford Sound and Doubtful Sound are not far away in the national park; the famous glowworm caves are also worth a look and not too distant. This resort is a reminder that much of New Zealand can have a very wintery feel. Te Anau is about 2 ½ hours drive from Queenstown, and many visitors hire a car from somewhere like Omega Car Hire Queenstown to make the trip.